Hope you all have a beautiful day enjoying family and friends. If you need to work or stay at home, even then it is a good day to give thanks for all the blessings received and the opportunities to smile, love and give. Did you noticed? It is a privilege to smile, love and give…never stop doing that. Never. Quick close-up into my Sweet as Pie for tomorrow. Sharing it today with My Pumpkin Challenge. 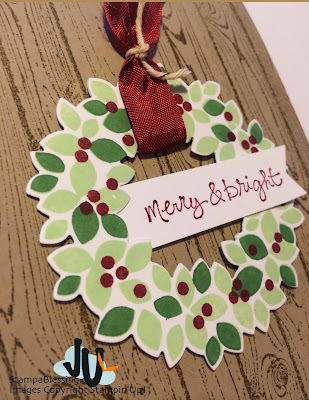 Check out the cute reindeer and other projects my dear friends and designers created for you. I will be filling these with yummy chocolate and sharing with friends tomorrow. It is such a blessing to give a little love. 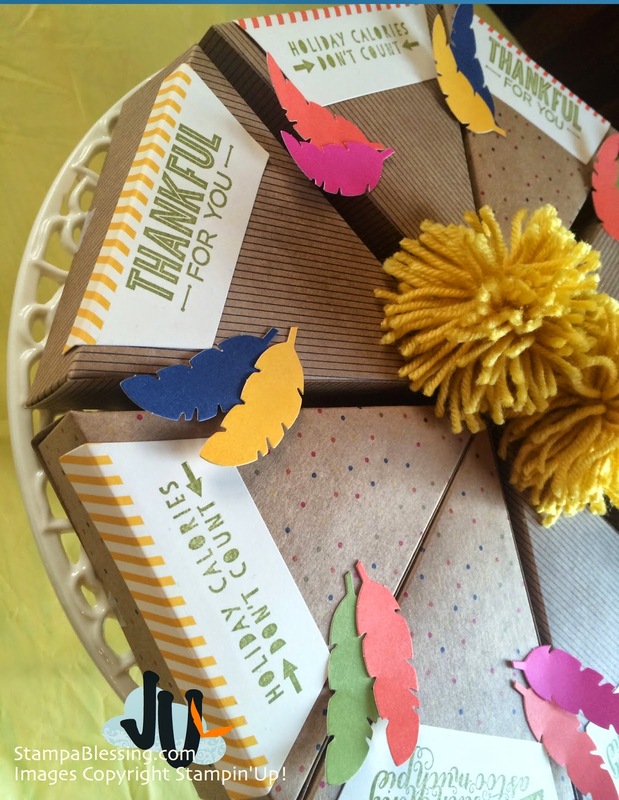 I was inspired by Diane Vander Galien to make this treat box. I placed a MnM's bag inside! So many cute ideas to make with these awesome kits. 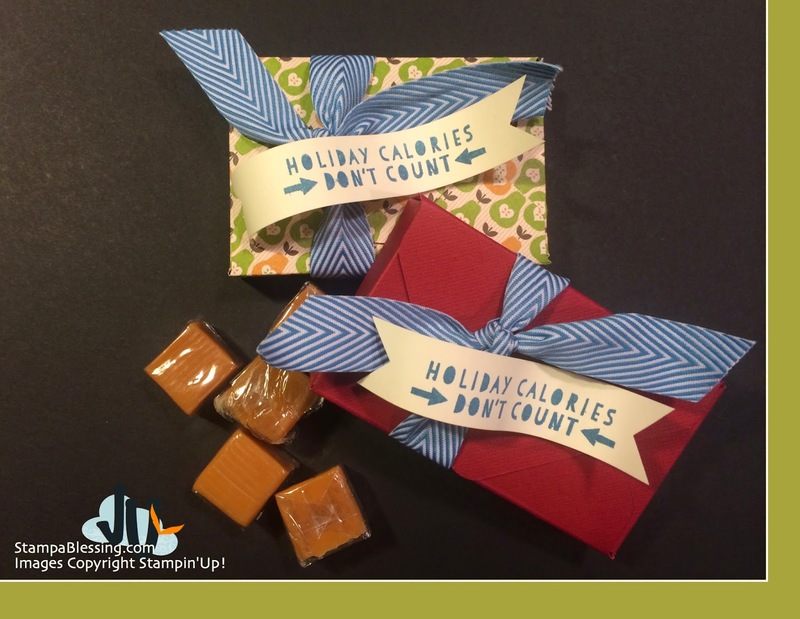 In the era of busy-ness and microwave speed what about giving the gift of creativity this year? We all need time to play, to relax and try something new. 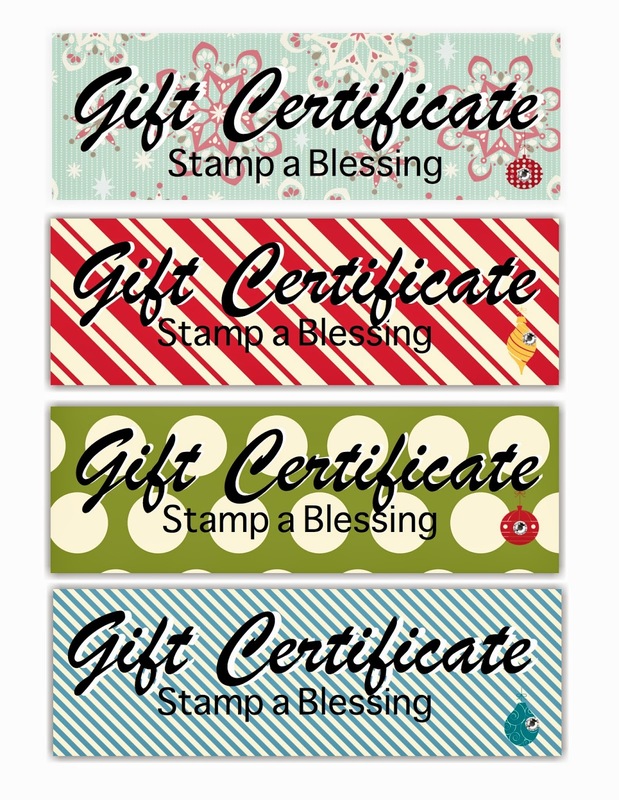 Let me show you some of the designs I created for Gift Certificates this year. I am in love with My Paper Pumpkin and all that it offers with every kit. 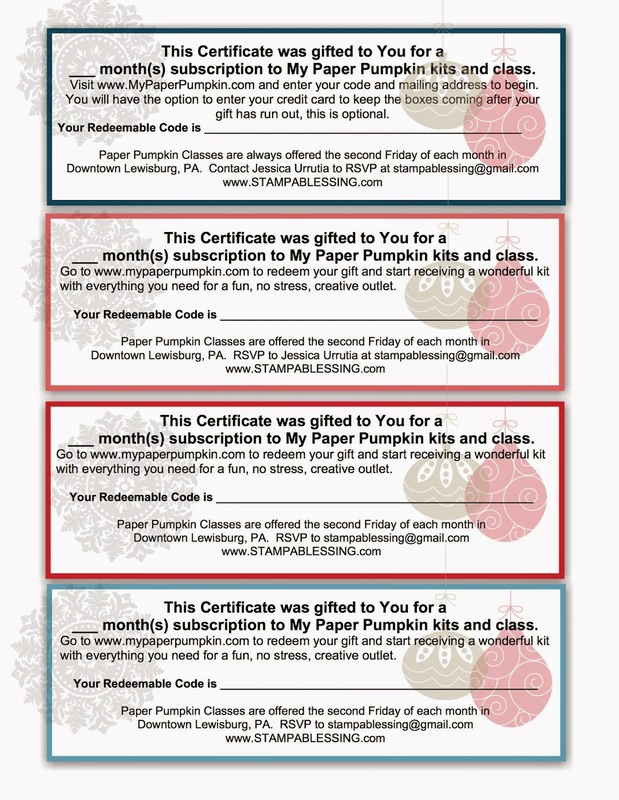 When you purchase a subscription to my Paper Pumpkin of any months I will send you a copy of a Gift Certificate with a cute cover for you to give to your loved ones, friends or co-workers. would like to invite you to give the gift that keeps giving! Great things going on in my store ONLY this week! Don't miss it! Today starts this awesome sale, right on time for your Christmas shopping! Yay! Check it out…the first 24 and 48 hours you will find the great door-busters! Click HERE to see the pdf with the best deals! If your order is $150+ you will also receive free products so do not use the code above. Thanks for your continuous support and for visiting my store today! Check out the discount on the Project Life Bundle! 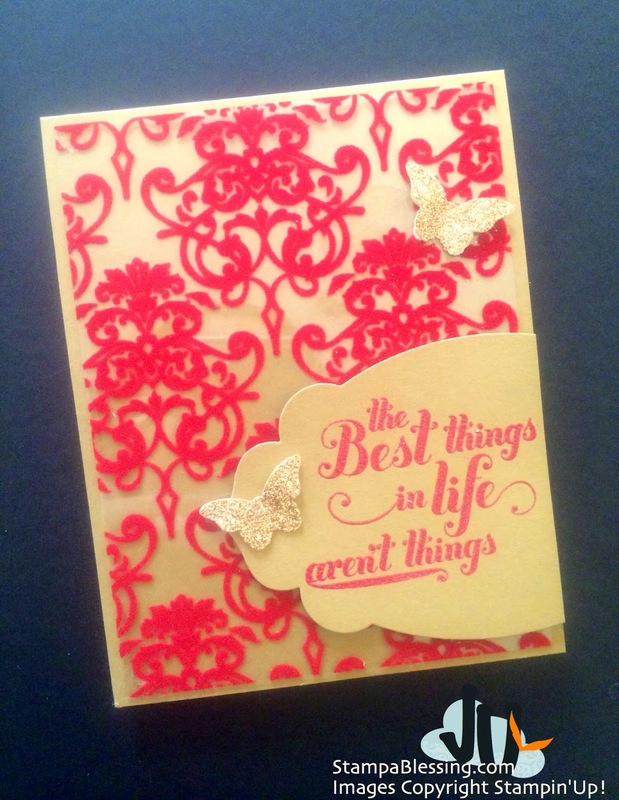 See video below of this fabulous Memory Keeping kit. Click here to see the PDF today! Traditional or Project Life? Let's inspire each other! Will include out-of-town and local crafters! Enjoy the weather today…fall is going way too fast, starting to feel more like winter. Brr! Click here to see the Online Extravaganza PDF today! 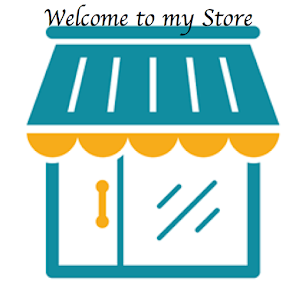 Then Visit my STORE to see everything on sale! Yay! 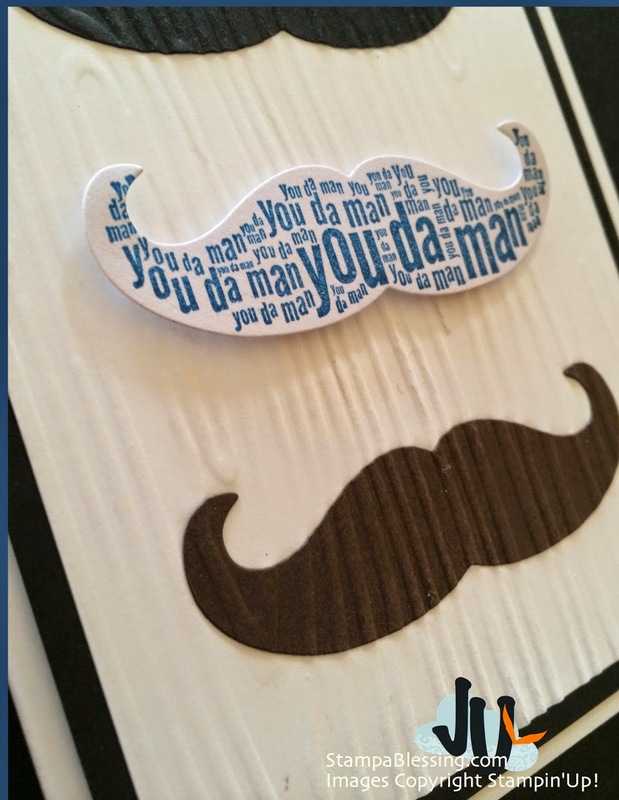 I MUSTACHE you a question! 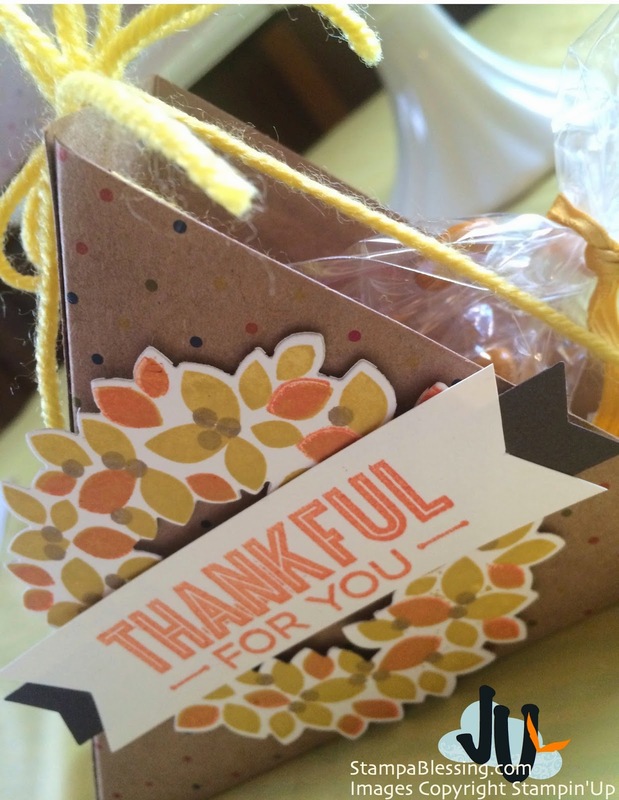 Cute case from C. Myers with October's Paper Pumpkin kit. Are you ready to get some cool Christmas gifts for your family and family, or maybe even for YOU? THIS MONDAY November 24th is a day of great deals and ALSO an awesome perk for new demonstrators. 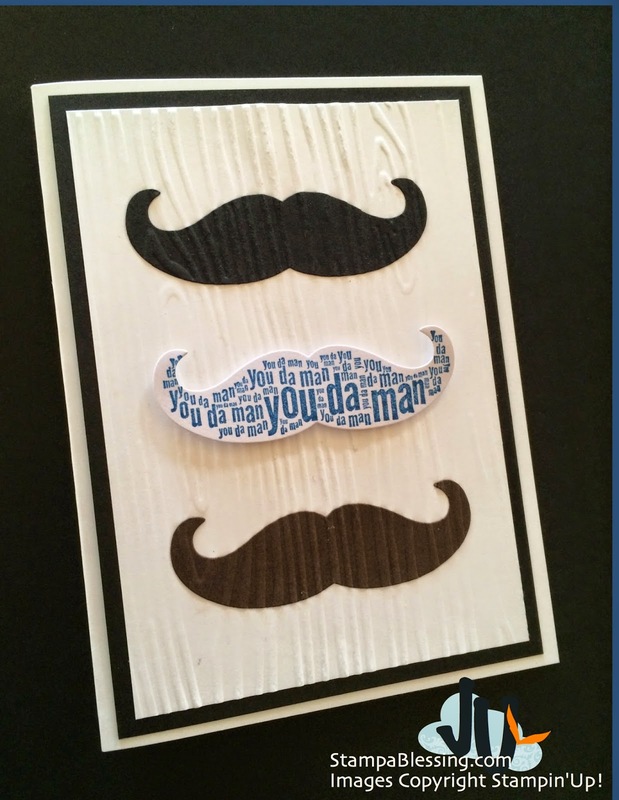 Made a quick thank you for a gentleman. Online Extravaganza starts on Monday with select items and bundles at discounted prices. Plus, there will be limited-time doorbusters on the first and last days of Online Extravaganza. You don't want to miss them! This sale lasts from November 25 through December 2, or while supplies last. 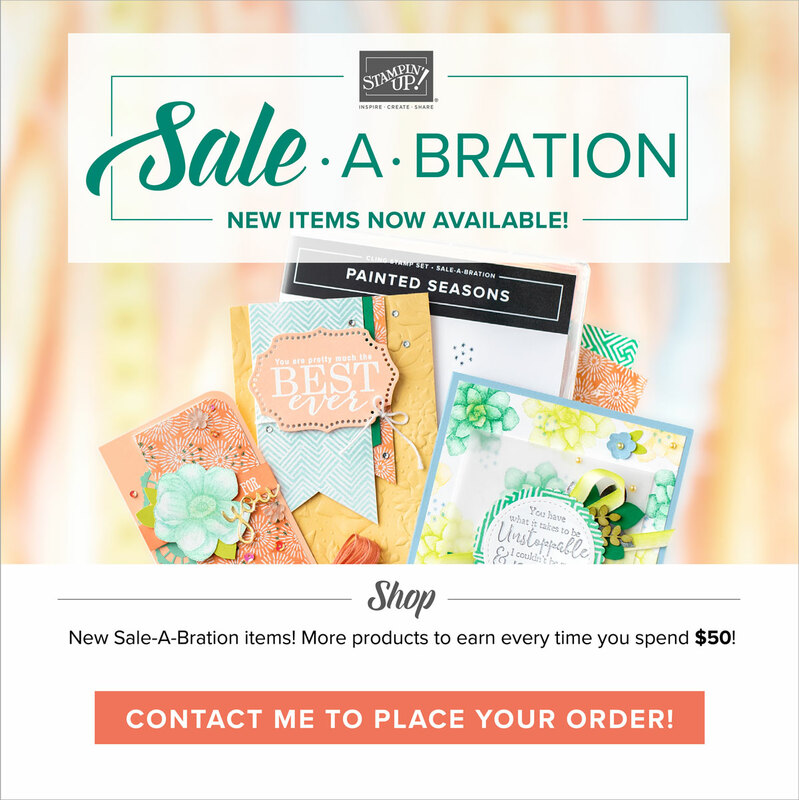 Learn more about these deals and discover which products (including select Textured Impressions Embossing Folders) are going on sale this MONDAY here! 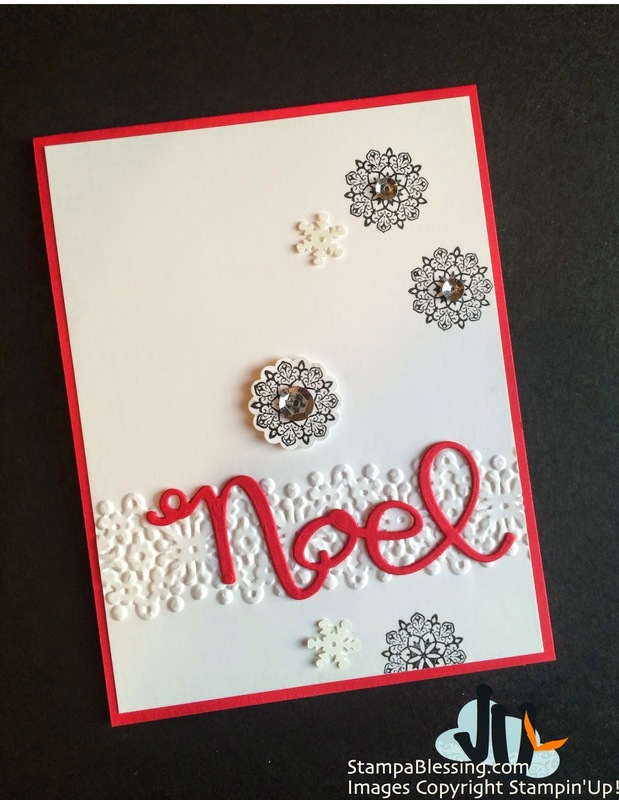 These kits are amazing to give the gift of a creative outlet. I love love LOVE receiving my red box every month. I await for it with excitement and love all the goodies that unleash my creativity. You may go as simple r extravagant as you want with these. Great gifts for nieces, granddaughters or co-workers. Check these out….just remember the refill kits will come with everything except a clear block and ink pad so ad those to the list and you are set. From now till December 31st I will have these cool certificates for you to give to your family, friends, employees and co-workers. 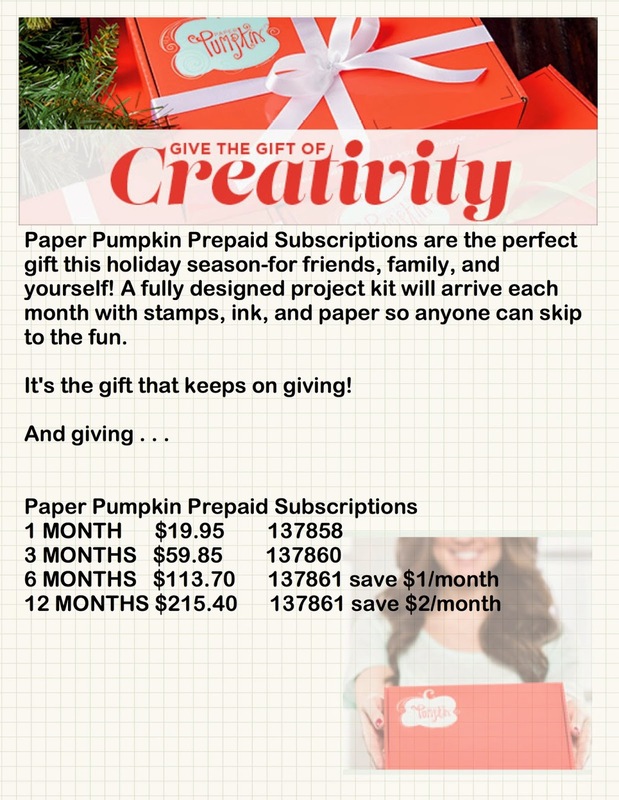 You may get them a 1-month, 3-month , 6-months or 12-months pre-paid subscription to My Paper Pumpkin and I will send you a cute Gift Certificate Holder for you to give in style! Order on time for Christmas! Contact me directly for these please here! For ONLY one week you will be able to join my team of demonstrators for 25% off the Starter Kit. Is only one week. If I may share what is my favorite thing about this company is the quality of their product, coordination of vibrant colors and superb demo & customer service. Of my business, the flexibility it gives me to do it my way and the people, yes the amazing PEOPLE I've met through the love of stamping. PLUS I get to make money doing what I love. So work doesn't feel like work. Join my team November 24th through December 2nd. Don't miss it! OH…THE BONUS: You will also get a 5% Cash Back bonus on all you December sales on top of your initial 30%…that's grrreat! Are you excited already? I am indeed! Contact me today to start picking your Starter Kit items. Love Stampin'UP! 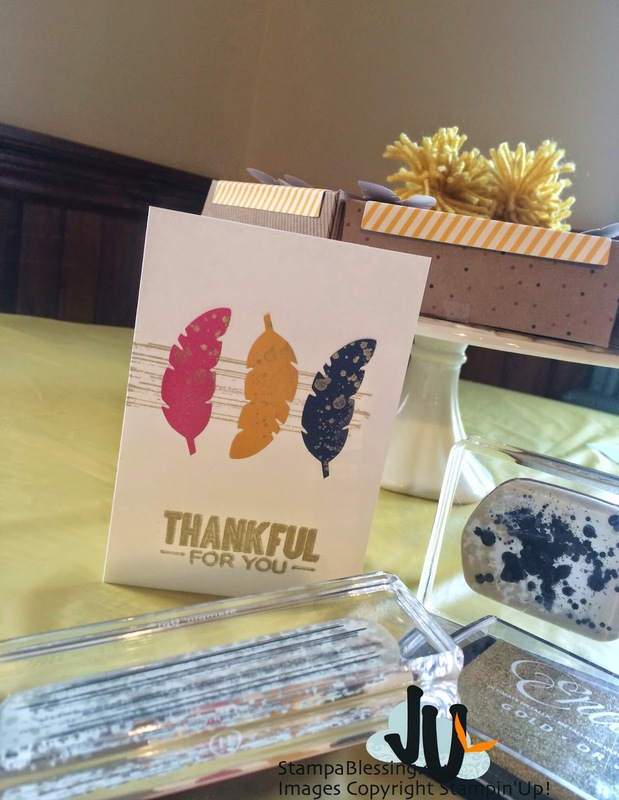 Paper Pumpkin October kit…refills available! size 4 1/4" x 5 1/2"
Get one of these and gift a pre-paid Paper Pumpkin subscription! Contact me here! Just a word of encouragement for you this morning. A word that meant a lot to me this week as I prepare for a new season of working hard in my life. And the realization that I don't have to do it alone. 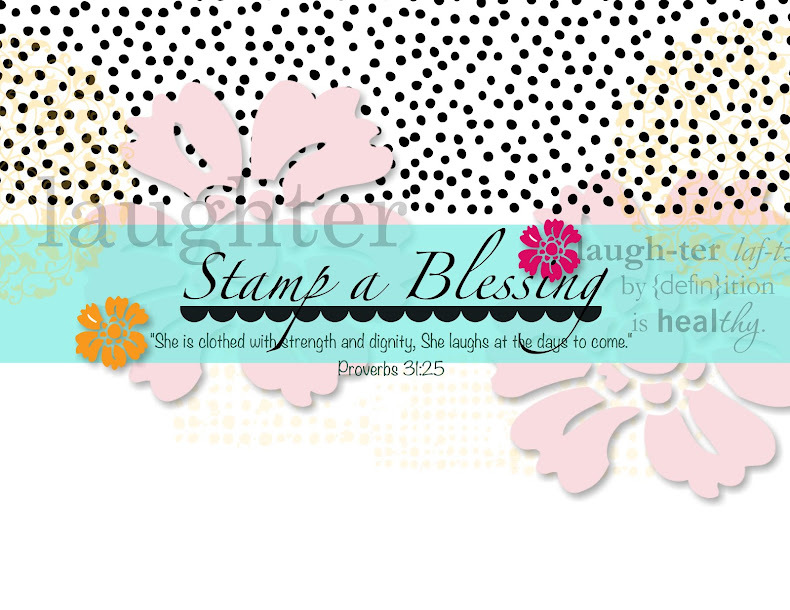 In my career as a Stampin'UP! Independent Demonstrator the Lord is opening doors in my community that are amazing, for such I am preparing and working hard. In my personal life as a wife, mom, and teacher, the Lord is inviting me to new ways of doing things, for such I am working hard. In my health and fitness, I was encouraged to do my very best and prepare, for such I am working HARD! I love being in the center of His will. Will you keep me in your prayers as I listen to HIS voice and engage in this new season. Thanks for your loving support, your friendship, your business and more than anything your words of affirmation. Be honest….is everything 'peaches an cream' in your life? Well…if you are a person…and still on this earth, maybe just maybe you go through challenges every so often and maybe today is one of those days. I pray as you read and see this simple project you smile, and remember… "this too shall pass". Be encouraged! God is for you, and not against you. This card I made for My Pumpkin Challenge! 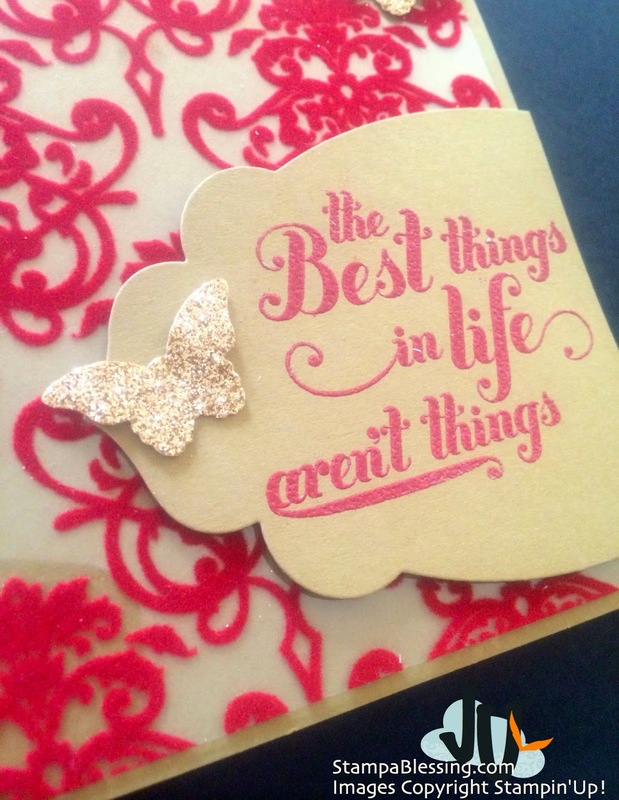 Check out the beautiful things my friends just made for you HERE! Heather Heroldt. 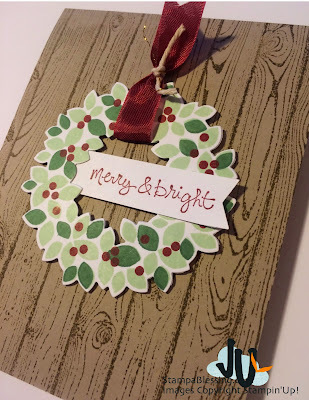 She makes the most wonderful things for her Paper Pumpkin class and she shared a very similar card with me. I changed the colors and added my little bit of pizzaz. But otherwise all credits to her. Check out her latest creations at Handmade By Heather! I am truly blessed to have beautiful friends like her that are consistent, an inspiration and followers of Christ. God has blessed me with many….THAT I won't take for granted. Love you friend! Thanks to all my followers for your consistent visits to my website, your words of encouragement, business and more importantly, your friendship. 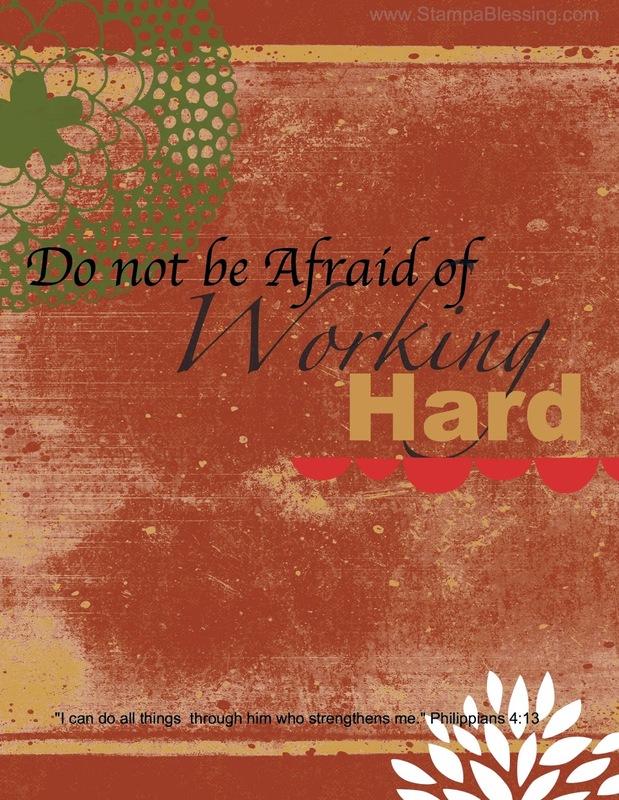 Stay strong…and do not be afraid of working hard! Visit with me for a few minutes….then give thanks for a new week and start afresh. Curvy Box Framelit. Gotta have this one! Lynn Starzl designed them and everyone LOOVES them. Aren't they cute! And it was our sweet friend Micah's birthday. 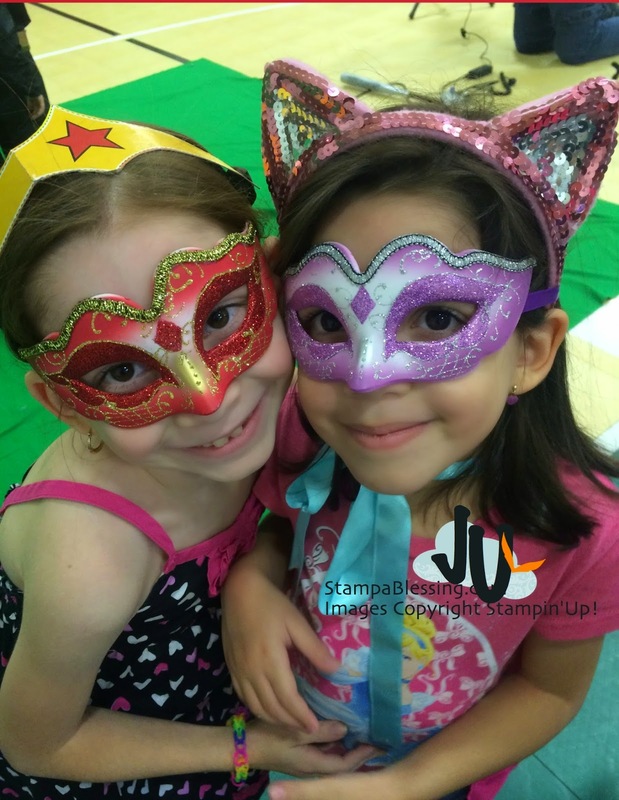 What better than making a super hero card with the Calling All Heroes stamp set. Loving it! 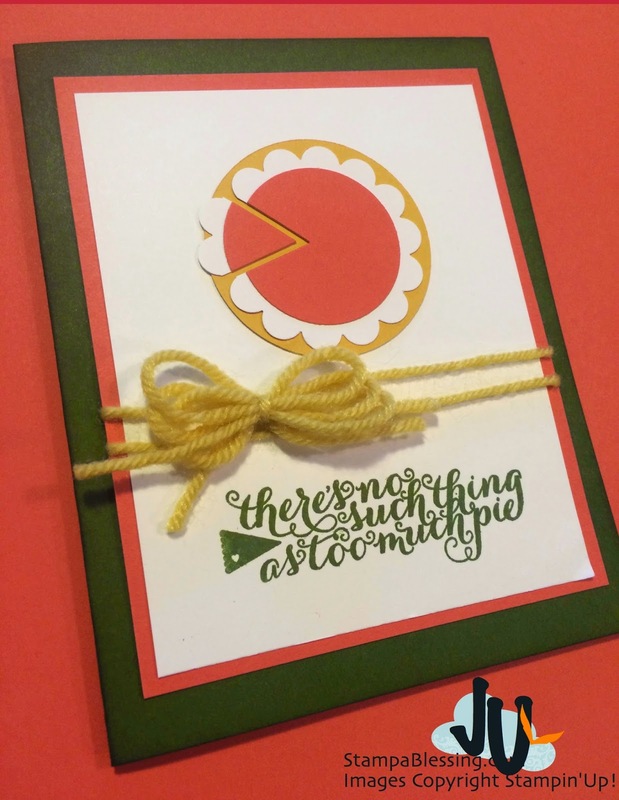 I made this card inspired by the MOJO Monday Challenge 371! And added the bookmark with repositionable adhesive for him to use. Gotta motivate reading, eh! Wondering what I am doing next? Come this Saturday and check out samples, ideas and great information on Memory Keeping! Have lots of photos…bring them on! I am totally enjoying it…more pictures to come. Have a blessed Monday…This is the day the Lord has made, we will rejoice and be glad in it! Loving this…. 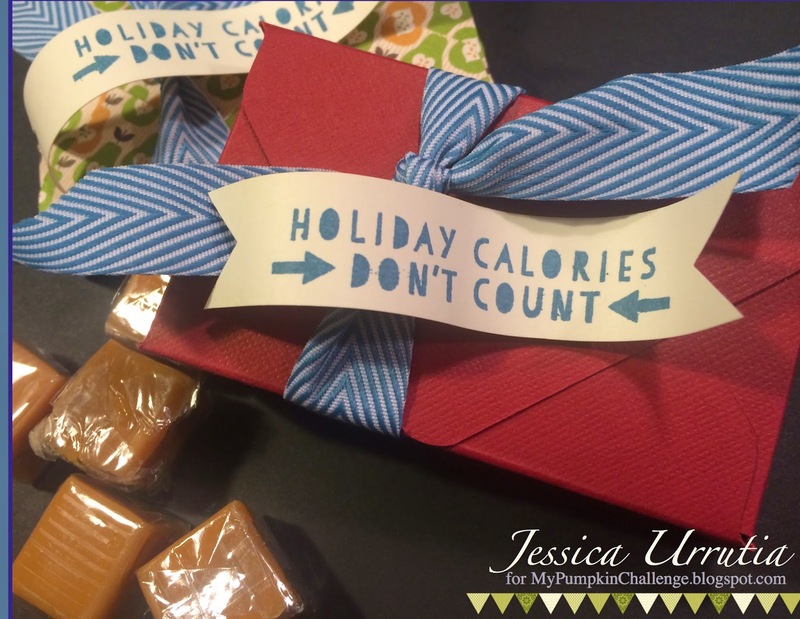 today is the last day to RSVP for my class…don't miss it! Don't forget to RSVP for my weekend class! Come stamp with me! Details below! I had a couple of birthdays last week I made some different cards for it.. 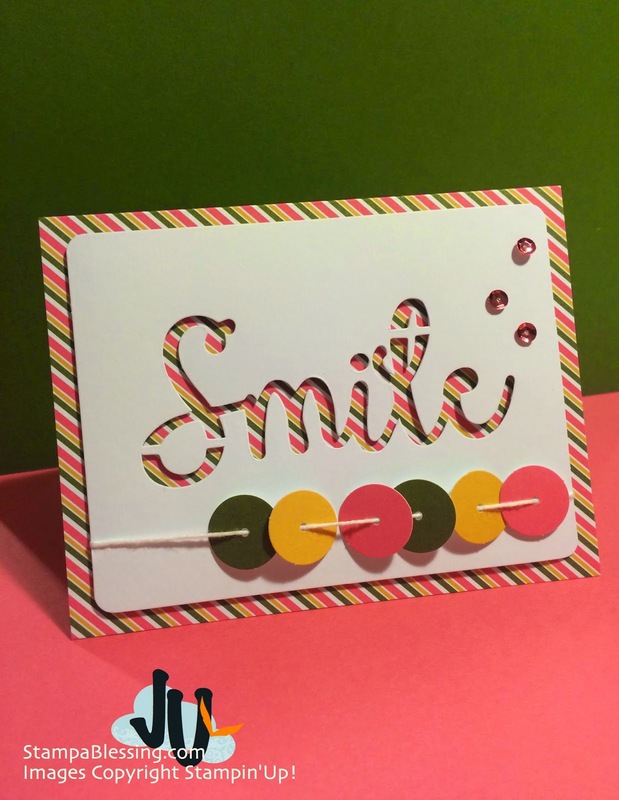 I haven't JUST create because of the fun of it lately…at times I'm so busy and focused I create for my kids, for my classes, to teach a technique or show how something works…BUT these cards were made JUST because I love….and will keep loving. 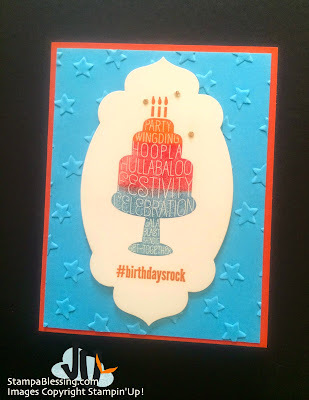 on Brown Baked Sugar Cardstock. 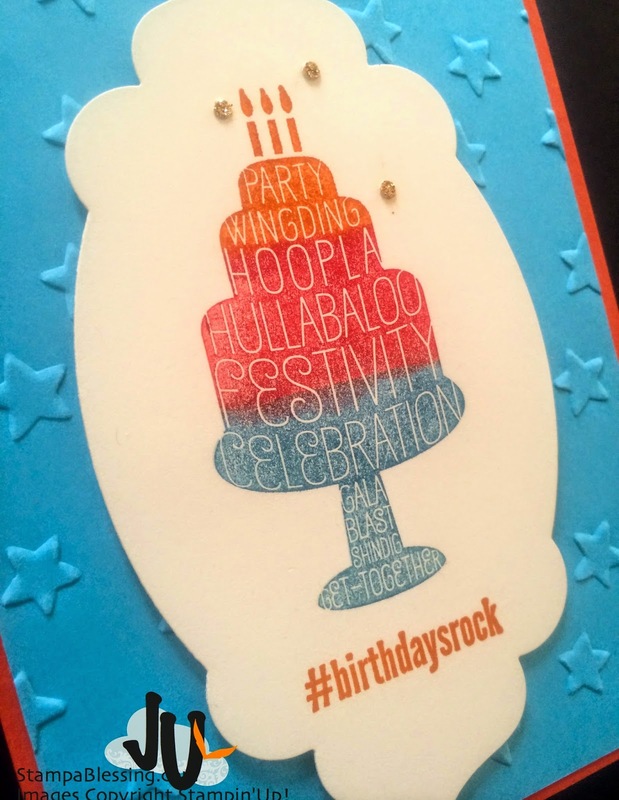 For a young boy I made this card….I sponged each color with sponge daubers and place a post -it note in between each color. It worked great! Love it! 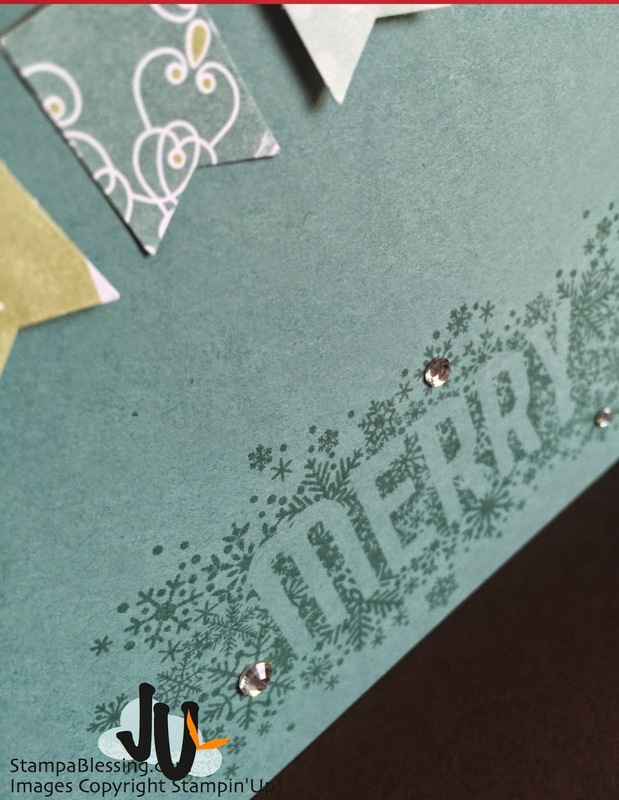 The little tiny dots of gold were punched with the Owl Punch and the Champagne Glitter Paper. Very Vanilla, Tempting Turquoise and Tangerine Tango make a very bright and happy birthday card. Hashtag Hello provided the sentiment on the bottom. 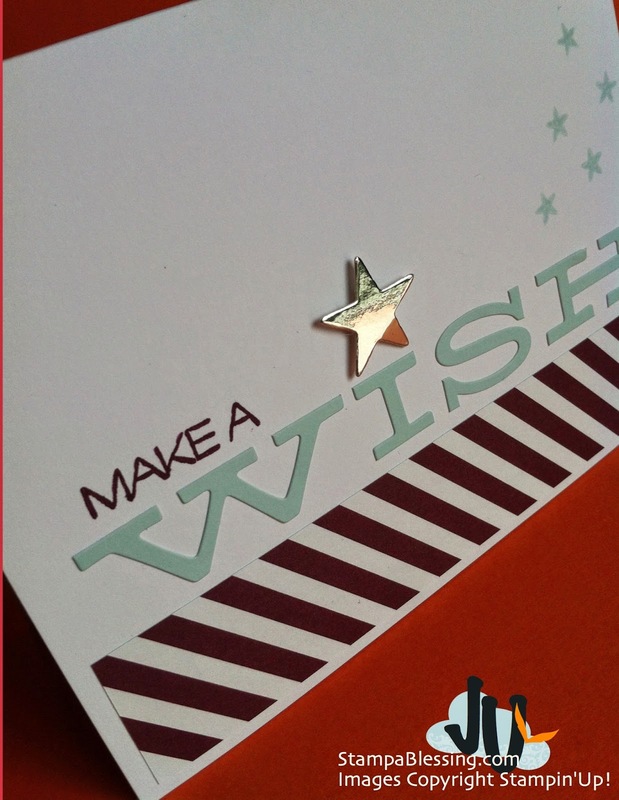 New Stars embossing folder and Apothecary Framelits add more happy happy to this card. 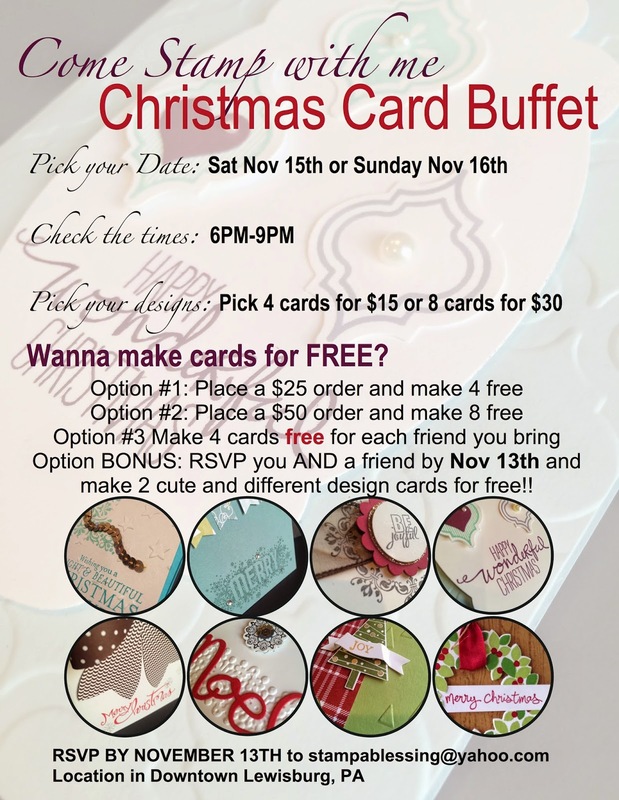 Today is the last day to RSVP for Christmas Cards Buffet? Are you coming! Check my newest post for a sample. 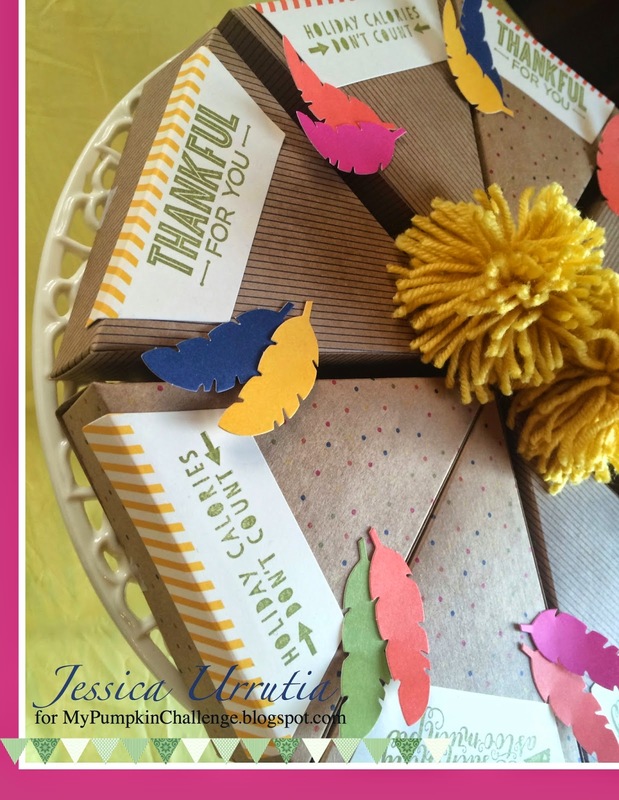 Giving Gifts Pretty with My Paper Pumpkin! 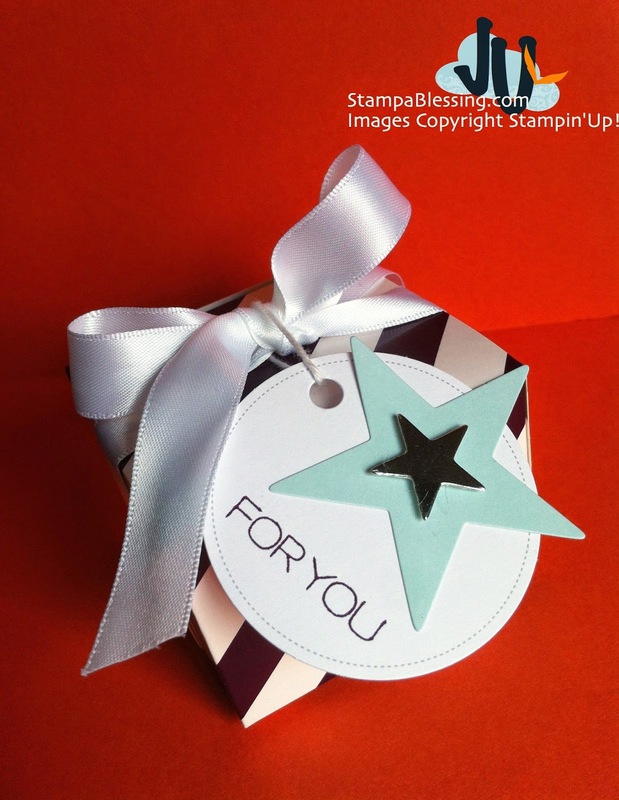 Bringing you a cute idea to make with your Paper Pumpkin stamps. In each of my classes I enjoy giving my guest a little gift to make their stay more pleasant. 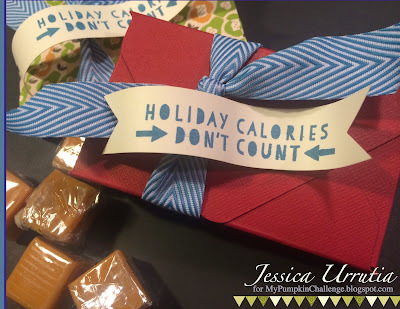 Most times that comes with chocolates, last class I surprised them with caramel. Yum! 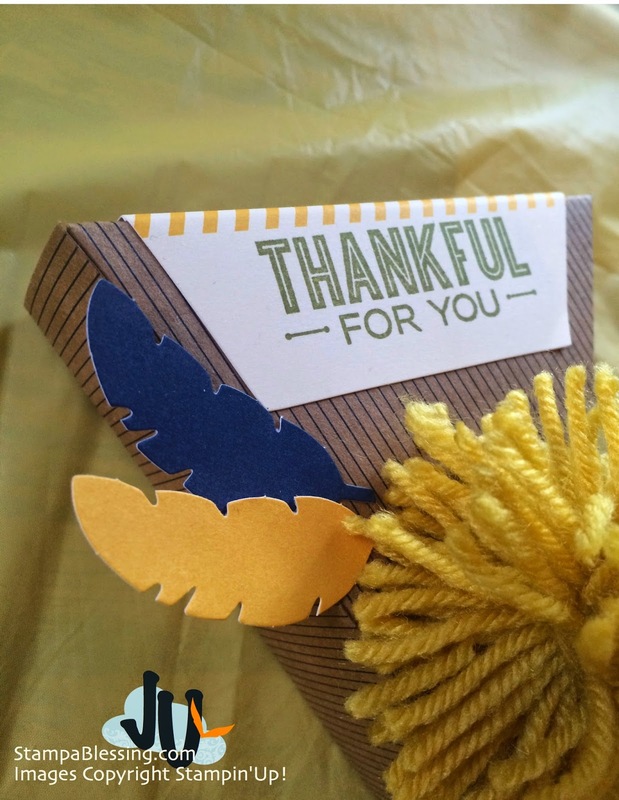 Paper Pumpkin always inspires me to give…what do you think of these? I made these using the Envelope Punch tool. STEP 1: Cut a 6 x 6 piece of paper. STEP 2: Punch and Score with the EPT @ 2", then at 3"…rotate 45 degrees and punch and score at each scored line, rotate again and do the same, rotate again and do the same. Each side now will have 2 punches each and 2 scored lines. STEP 3: Fold on each score line forming a box and fold each little corner in. STEP 4: Adhere with Tombow Multipurpose Liquid Glue. 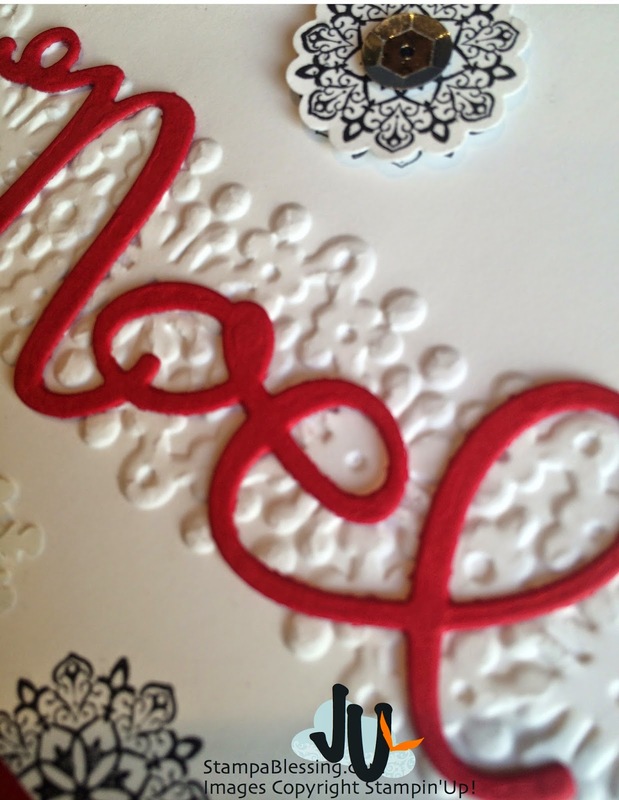 STEP 5: Embellish with ribbon and stamped banner. Only 4 days to have this fabulous time with my friends. I am so excited to host my first buffet of cards. 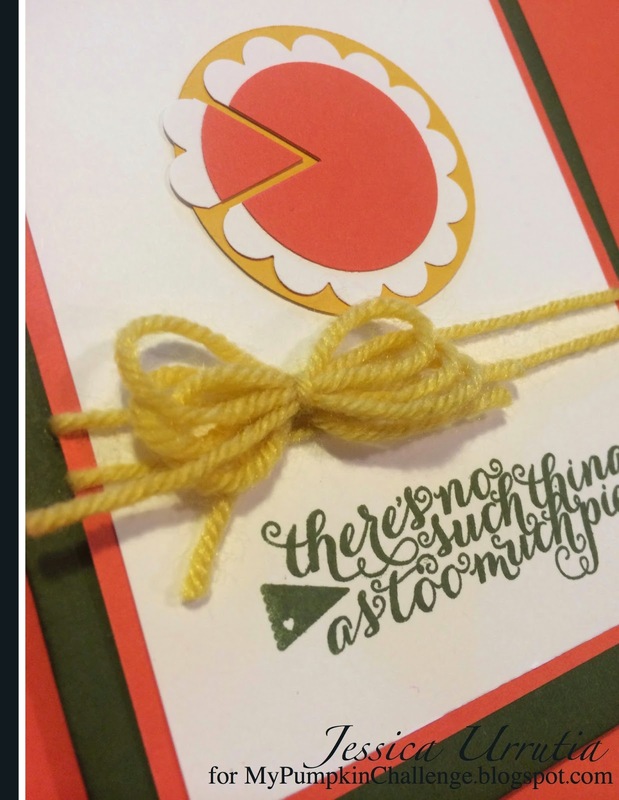 I had other Christmas classes before, but never one were you could pick the cards you want to make. Make 4, 8, 12, 16..your pick! You need RSVP by Thursday Nov 13th to be able to come. 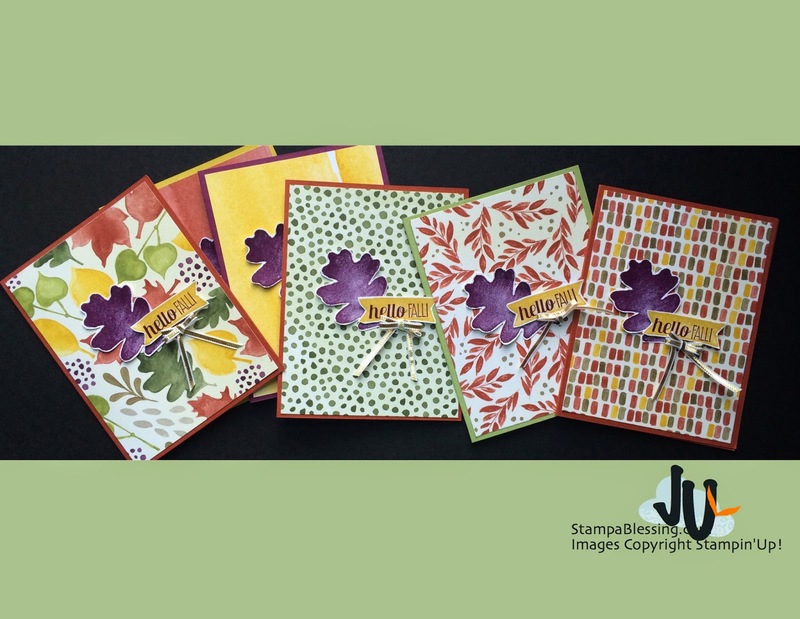 Each participant will make cards of 8 different designs trying a variety of stamps I fell in love with. Come and have yourself some pie and hot cocoa too! It is the perfect time to get ready for Christmas, before the days become SO BUSY….don't miss it! 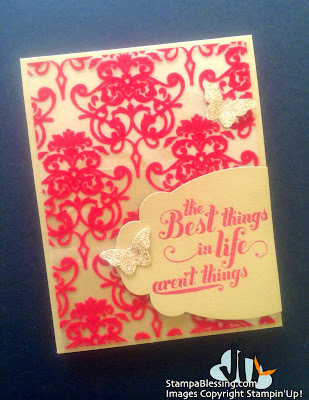 Real Red, Basic Black and Whisper White….a classic! Have a wonderful day. Come back tomorrow to check my next card! Be inspired to create blessings! Don't forget to check the new Weekly Deals! 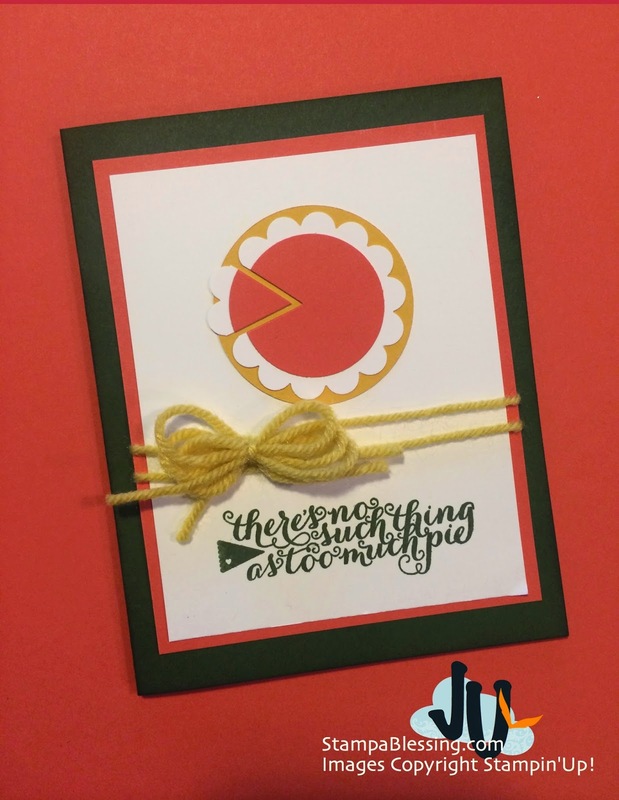 We only have 5 more days to our next fun class Christmas Cards Buffet! Remember to RSVP by Thursday November 13th…when you invite a friend and rsvp your first 4 cards are free! 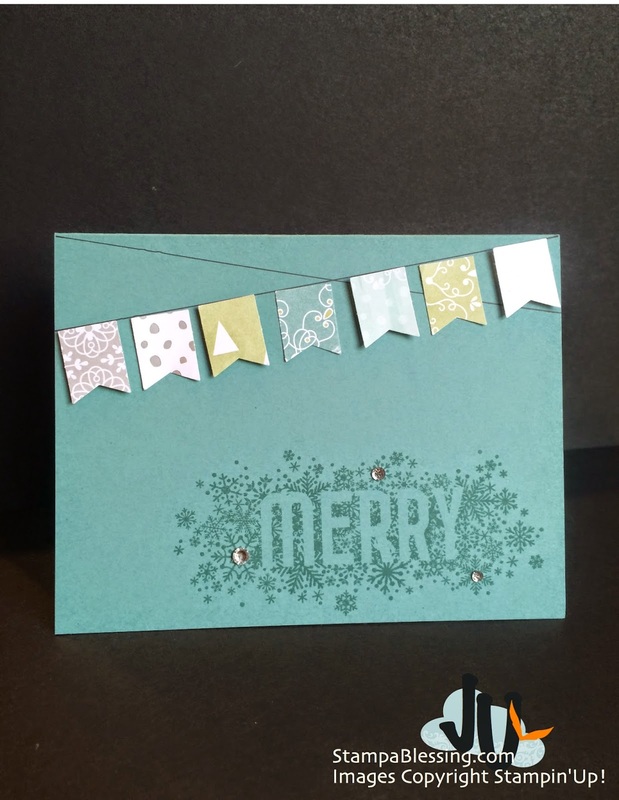 Here is one more card we will be making. 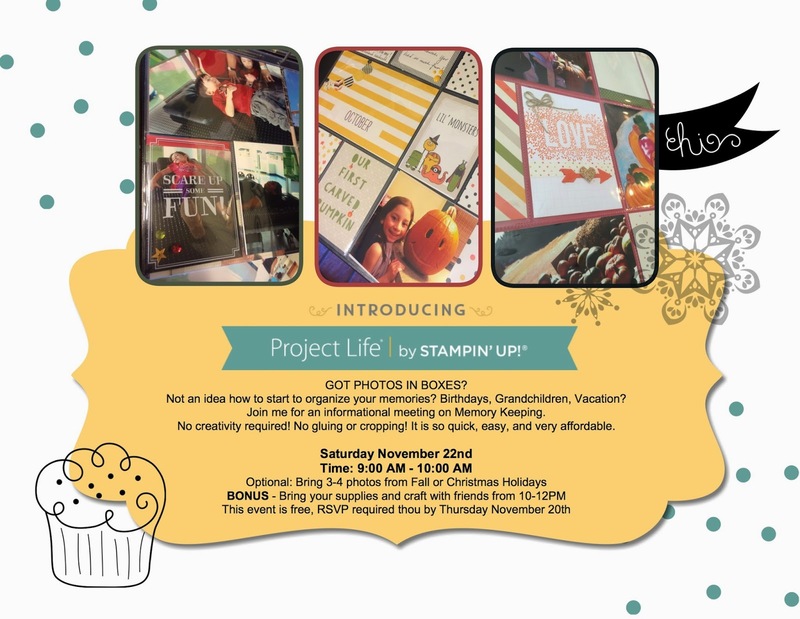 Don't forget my next class is November 22nd, we will be focusing the first hour on Project Life Memory Keeping, then we will craft in our projects as we wish and have lots of fun!